Mike Covell is a local historian and author based in Kingston upon Hull. He has appeared on Most Haunted, Most Haunted Live, and Paranormal Lockdown, as well as documentaries, podcasts, blogs, magazines, radio shows, news shows, and in numerous newspapers. He currently writes for Haunted Magazine, Outer Limits Magazine, The Hull Daily Mail, and The Grimsby Gazette. That was the question that was asked of me on a recent tour around the Annison’s Building and Courtyard in my hometown of Kingston upon Hull. A delightful Victorian building that today houses a late night pharmacy, but going back in time was once the site of the North Blockhouse, a part of the fortifications on the east side of the River Hull. It was during this period that a number of Catholics were persecuted, tortured and left for dead, most of them being left to rot in the cellars, with the occasional few, who were lucky enough, to be hanged. 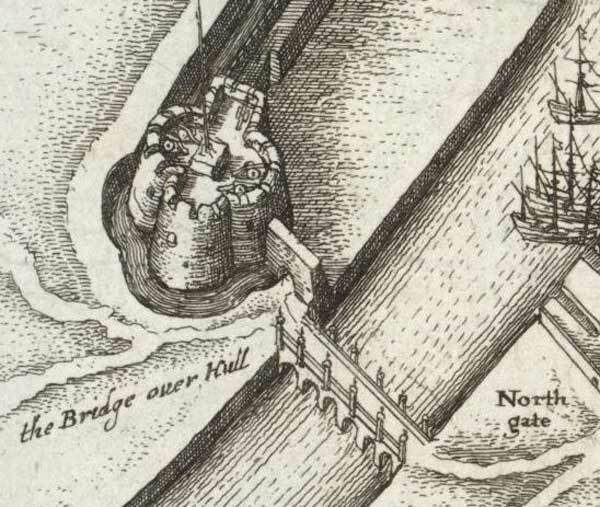 By the 1700s the blockhouses and fortifications were no more, demolished and removed. By 1876 the Annison family had lost most of their business interests in a fire, and as such moved to their current location, building a property that could house their wheelwright and cart building business downstairs, and their stables upstairs. You heard me right, the building houses stables upstairs with specially adapted stairs built for horses! 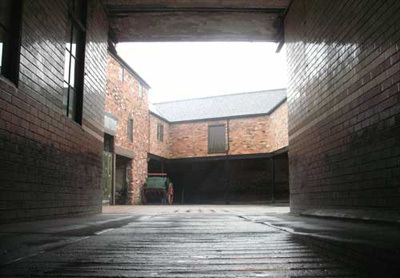 The main stables at Annisons Building and Courtyard. Back to the history; The Annison family began to work through the various businesses they had, operating as cabmen, cycle makers, motorbike mechanics, and automobile mechanics. They also turned their hand to the funeral business, which is how they became known. The building today houses the chapel of rest, laying out room, cold storage room and embalming room. 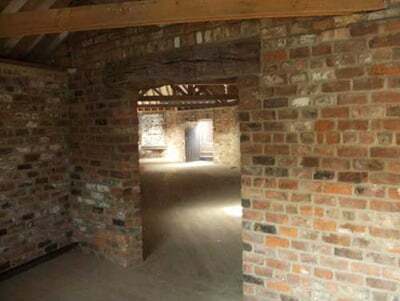 It also features two mammoth stables, used by the Annison family, Ringtons Tea and the Hull Police Mounted Division between 1947 and 1966. 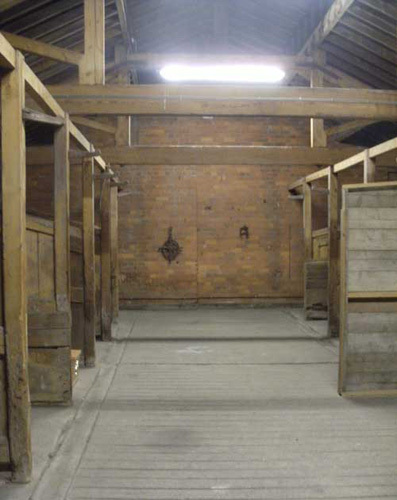 The Hayloft at Annisons Building and Courtyard. Now the building stands empty, with the pharmacy occupying the ground floor at one side, but echoes of the past are still present. 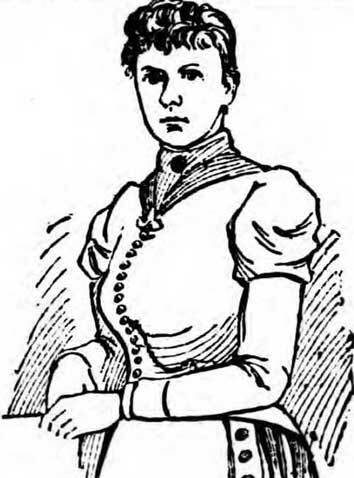 One of the most infamous events at the building took place in 1891, when 20 year old, Mary Jane Langley, visited the location to have her photo taken. It would turn out to be her last. Later that day she was murdered some distance away, killed with her throat cut only yards from her house in Preston, a small village on the outskirts of Hull. Murders aside, the building has also suffered a number of recorded deaths, from Mr. Edward Seward Annison, to his daughter Sarah Annison, and even a horse, that bolted during the Blitz and killed itself by running into the walls of the stable, leaving blood stains on its rampage. I got involved in Annison’s some years ago. I was passing during the English Heritage Open Days and ventured in to chat about the history. To my surprise the owner of the pharmacy was very much interested and we decided to work on the history together. What was initially a 6 page history turned into a 90 page history, taking in deaths, tragedies, and some of the amazing businesses that have housed in the property through the years. View of the yard at Annisons Building and Courtyard. To date we have had several paranormal groups in from across the UK, with me attending to ensure they know the history and to advise on names etc. I have witnessed more than my fair share of activity, as have many of the guests who have attended. I personally have witnessed some incredible activity, from apparitions of male figures walking left to right in the hayloft, to massive bangs on the wooden floor, to lights turning on and off, doors opening on request, knocks on doors, and a glass moving of its own accord across a coffin! We also managed to catch what appeared to be legs on the thermal imaging camera, voices over the various spirit boxes, massive EMF fluctuations in empty rooms, temperature fluctuations, the sudden scent of flowers or perfume, whistling, and people getting nudged. We joined together to offer an all inclusive location where the history and the paranormal go hand in hand. It makes sense to offer the best of both worlds, and now the location is open to all. We have an art space for community art projects, photography days, local student events, history tours and of course our paranormal events. One thing is for sure. The dead might pass through on their way to be buried, but some certainly choose to stay. MIKE COVELL is a published author with nine titles under his belt. He sold the rights to four of his books to Hollywood, and stormed the American charts with “Annie Chapman: Wife, Mother, Victim.” His books on Mary Jane Langley and the Marfleet Murder Mystery, and Frederick Bailey Deeming, have also been optioned by Hollywood to be turned into movies. Mike has also been cast in A Study in Red-The Secret Journal of Jack the Ripper as Detective Inspector Abberline. He is also advising on several Hollywood projects as an historical director, working on several TV shows, continues to work on radio shows about the Hidden Histories of Hull, and has ten books due for release this year! Mike is also the historical advisor on Hull’s Dark Museum, a visitor attraction looking at 700 years of Hull’s history, and can often be found lecturing or taking ghost and history walks around his hometown of Hull, or spending time at this magnificent building. Did an evil Poltergeist force three families to flee a Northfleet Kent home?